In honor of tailgate season (and Mizzou’s first SEC game against Georgia!) I wanted to share one of our most favorite tailgate dips, Mag Mud. In Austin, Texas, is the most amazing restaurant, Magnolia Cafe. My very, very dear friend B insisted (it didn’t take much!) we go there whenever I visited her and it was always packed and always delicious. Regardless of time of day or night, B and I always started with their famed Mag Mud. It’s surprisingly easy and if you make it in a crock pot, last well through a long tailgate. Put the black beans in the bottom of the crock put. Turn crock pot to high. Wait about 20 minutes and add the cubed Velveeta. Stir. Let Velveeta melt (about 15 to 20 minutes). Stir. Add the drained Rotel. Stir. Serve with your favorite tortilla chips by topping cheese with avocado slices and pico. *Note: The time depends on your crock pot. Ours has three levels, keep warm (low), Low (medium) and high. If your dip is a bit too runny (or slides right off the chips! 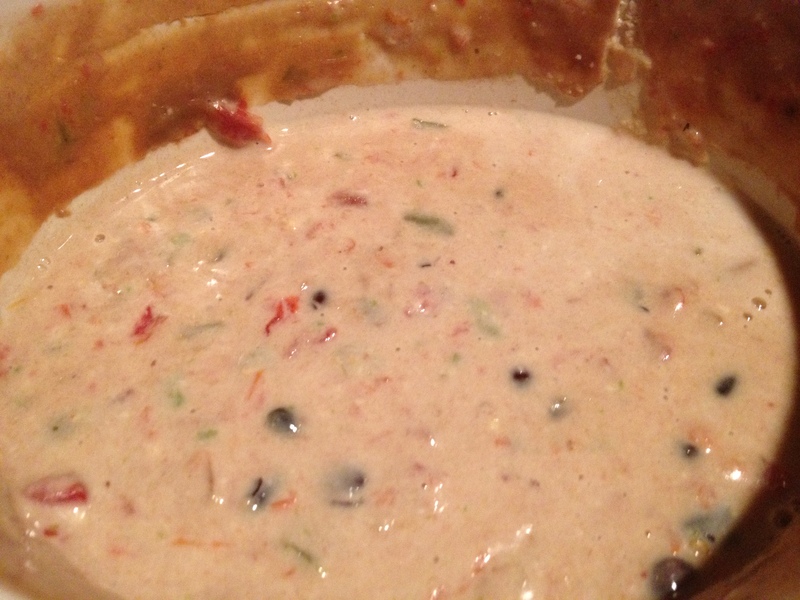 ), you can thicken it by adding shredded Mexican Blend cheese. We used about a half cup. The original Mag Mud is layered, this one isn’t. Other than that, I can’t think of a single thing wrong with it. So good!